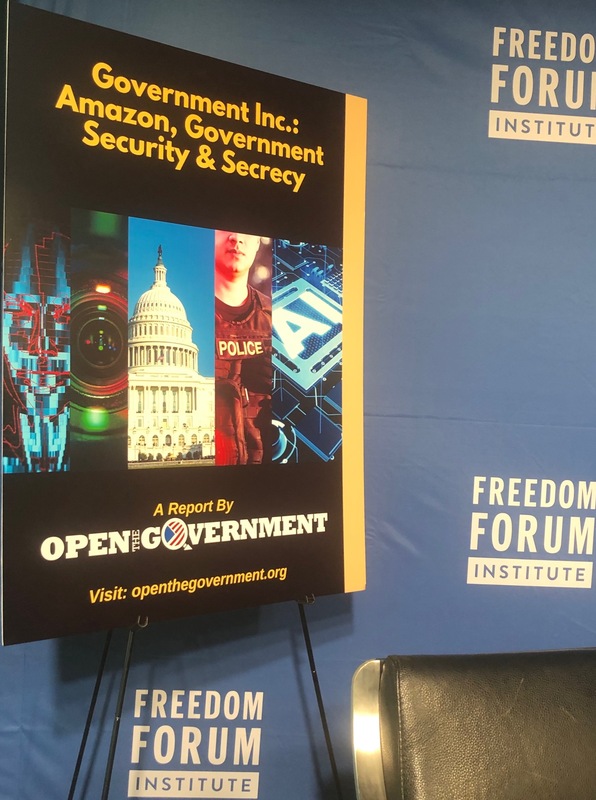 Open the Government is releasing an in-depth case study, Government Inc.: Amazon, Government Security & Secrecy and hosting a panel discussion addressing the primary concerns the public should have about federal and state governments relying on private contractors to provide advanced technology to support military operations, enforce immigration laws and aid in policing. The panel is part of the National Freedom of Information Day Conference held at the Newseum to celebrate the 2019 Sunshine Week. In addition to the panel discussion, the conference will feature a Keynote Address by Rep. Elijah Cummings, D-Md., chair of the House Oversight and Reform committee and Special Guest speaker: Rep. Jimmy Gomez, D-Calif.
Panelists include Paromita Shah, Associate Director, The National Immigration Project of the National Lawyers Guild, Amie Stepanovich, U.S. Policy Manager, Access Now, and Jake Laperruque, Senior Counsel, Project On Government Oversight. Naomi Nix of Bloomberg News moderated the panel. The conference is organized by Open the Government, Freedom Forum Institute, The Reporters Committee for Freedom of the Press, theAmerican Society of News Editors, and Fix the Court.